Neighbour disputes- They should’ve mediated! 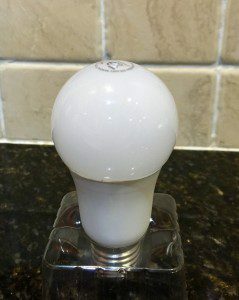 In an astonishing waste of time and money, three magistrates, four lawyers, two firemen and an expert witness were dragged into court to resolve a row between neighbours over a lightbulb that was too bright. Environment officers investigated in October and told Ms Simkin to remove the light. When Ms Simkin refused, she was accused of breaching an abatement order and summoned to trial before magistrates in Blackpool. But instead of removing the light, she instructed a barrister, claiming that she needed the light for fire safety reasons. He called a fire safety expert to help argue that the light was essential to illuminate the exit at the back of Ms Simkin’s house. Meanwhile, Fylde Council instructed criminal barrister as well as its own legal team and two Lancashire Fire Service officers to argue the light was not essential. The barristers, spent several hours discussing the case before they agreed the light would be removed. All this time and money might have been saved if the parties had agreed to mediate the dispute over the lightbulb. Alternatively the neighbour would have been better off agreeing to abide by the abatement notice.